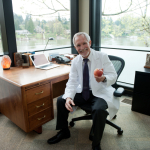 Noel Peterson ND, DAAPM has practiced integrative regenerative medicine in Lake Oswego since 1978. 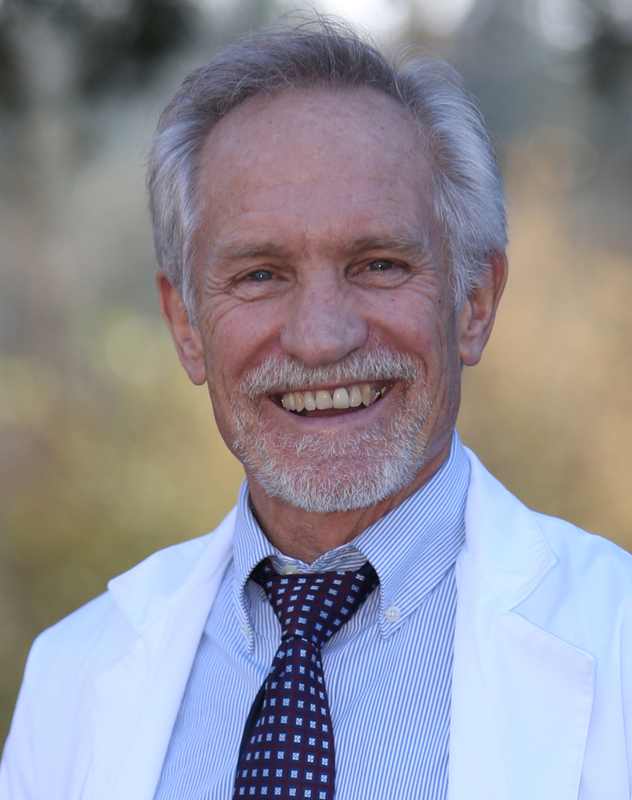 He serves as the Medical Director of Oregon Regenerative Medicine, a multi-discipline practice dedicated to empowering people to create optimal health and active longevity through education, inspiration, and natural therapy. He has focused his practice on regenerative medicine and Prolotherapy since 1989, Platelet Rich Plasma (PRP) since 2006, and Adult Stem Cell therapies since 2012. Dr. Peterson is Certified in Prolotherapy by the American Association of Orthopedic Medicine (AAOMED.org). He serves on the scientific Institutional Review Board of the International Cellular Medicine Society (cellmedicinesociety.org), representing physicians and researchers from over 35 countries who share a mission to provide scientifically credible and medically appropriate cell-based treatments to informed patients. Dr. Peterson’s passion for medicine is finding the source causes of his patients’ conditions. 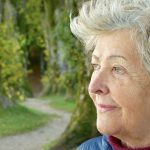 To accomplish this, he first listens to the patients’ story, learning the nuances of their physical and emotional condition. 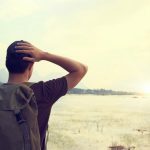 He openly thinks out loud, letting the client know what he’s thinking, what tests are appropriate, and maps out a strategy to find the source and resolution of their condition. He utilizes all manner of physical and laboratory testing to discover the metabolic, nutritional, hormonal and mechanical disorders of his patients. Dr. Peterson understands first-hand the special challenges facing athletes of all ages. His interest in prolotherapy began when he developed serious life-threatening injuries that required more than orthopedic surgery to heal. After rehabilitation and prolotherapy treatments he has been able to resume all of his sports without pain or restriction. He trained in martial arts for 20 years and now calls the Columbia River Gorge and the Oregon coast his gym, where he enjoys kitesurfing, biking, paddelboarding, and windsurfing. Dr. Peterson specializes in scientifically validated regenerative and cellular medicine, including Prolotherapy, PRP (Platelet Rich Plasma), and stem cell regenerative medicine in Portland and Lake Oswego. He earned his certification in prolotherapy through the American Association of Orthopaedic Medicine. He is one of only three physicians certified in prolotherapy in the Pacific Northwest. He served as faculty for the American Association of Orthopaedic Medicine, the Latin American Association of Orthopedic Medicine, and for the Naturopathic Academy of Therapeutic Injection. Dr. Peterson is recognized for his expertise in the practice of Prolotherapy, Platelet Rich Plasma, and Autologous Stem Cell regenerative medicine. He serves as international clinical faculty for AAOM’s Certification program in Interventional and Regenerative Orthopedic Medicine (IROM), teaching annual IROM courses in prolotherapy at the Peruvian National Institute for Rehabilitation in Lima, Peru, and with the Latin American Association of Orthopedic Medicine in Buenos Aires, Argentina. In 2016 his clinic started the profession’s first CMNE approved integrative residency training program in Regenerative Orthopedics. His peer-reviewed investigational work has been published in both the American Journal of Surgery and the Journal of Prolotherapy. Dr. Peterson has been actively using adult stem cells (adipose-derived stem cells) in his regenerative medicine practice since 2012 and has found this procedure to be remarkably effective in the treatment of advanced osteoarthritis of the hips, knees, ankles, hands and other joints. He trained with Dr. Harry Adelson and Dr. Robert Alexander in 2012, mastering the art of adipose-derived stem cell therapy for orthopedic pain and regeneration. He completed accredited onsite training through the Bioheart Adipose-Derived and Bone Marrow Stem Cell Harvesting and Isolation Training Course. He is a Diplomat of the American Academy of Pain Management (DAAPM) http://www.aapainmanage.org. Institutional Review Board, International Cellular Medicine Society (www.cellmedicinesociety.org) The International Cellular Medicine Society (ICMS) is an international non-profit dedicated to patient safety through strict evaluation of protocols and rigorous oversight of clinics and facilities engaged in the translation of point-of-care cell-based treatments. As a Professional Medical Association, the ICMS represents Physicians and Researchers from over 35 countries who share a mission to provide Scientifically Credible and Medically Appropriate Treatments to Informed Patients. The ICMS Works Tirelessly for the Clinical Translation of Field of Cell-Based Point-of-Care Treatments through Comprehensive Medical Standards and Best Practice Guidelines for Cell-Based Medicine, Strict Evaluation and Rigorous Oversight of Stem Cell Clinics and Facilities through a Global Accreditation Process. 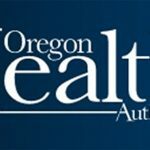 Opioid Task force member: PDMP Prescriber Practice Review Committee, Oregon Health Authority: Dr. Peterson’s expertise in drug-free pain management has made him a valued player in Oregon’s state-wide efforts to reduce opioid addiction. For the majority of musculoskeletal pain patients, treating pain with opioids is only window dressing. For comprehensive pain management, the cause of pain must also be treated. At ORM, we specialize in treating the cause of pain. Combination glutathione and anthocyanins as an alternative for skin care during external beam radiation, T. Miko Enomoto, MD Thomas Johnson MD, Noel Peterson ND, Louis Homer MD, Deb Walts RN, and Nathalie Johnson MD, American Journal of Surgery, Volume 189, Number 5; 627-631. Plasma rico en plaquetas (PRP) – Células madre – Ácido hialurónico. Fundamentos científicos. Modos distintos de preparación. Ventajas y desventajas. PRP celular vs acelular. Técnicas de aplicación. Selección de pacientes. Dr. Fabio Lana (Indaiatuba, Brasil) – Dr. Noel Peterson (Oregon, EEUU). Moderador: Dr. Gonzalo Yamauchi (Argentina). Faculty in Prolotherapy: American Association of Orthopaedic Medicine IROM 202 course, Lima, Peru, July 2015, July 2016: Course is sponsored by the Latin American Association of Orthopaedic Medicine and the Instituto Nacional de Rehabilitación Dra. Adriana Rebaza Flores, a fully accredited teaching hospital entirely dedicated to rehabilitation. It is a required course for Interventional and Regenerative Orthopaedic Medicine Certification (IROM). Each year we treat over 500 patients while training physicians from all over North America and South America. The course provides hands-on training in the diagnosis and prolotherapy treatment of a wide range of orthopedic conditions. Faculty in Regenerative Medicine, Latin American Association of Orthopaedic Medicine, Buenos Aires, Argentina, March 2016. 2-day hands-on course in Platelet Rich Plasma and Adipose-Derived Stem Cells. Faculty, NATI Prolotherapy workshops, Naturopathic Academy of Therapeutic Injection, 2005-present. Reduced Glutathione and Anthocyanins in Skin Care During External Beam Radiation, AANP Annual Convention, Phoenix AZ 2005.